Following Carmen (Bizet), Les Contes d'Hoffmann (Offenbach) and Samson et Dalila (Saint-Saëns), Thaïs will be presented at the NCPA (National Centre for the Performing Arts) in early 2018. As another masterpiece created by composer Jules Massenet during the Romantic Period of France in the 19th Century, Thaïs will be included into NCPA's repertoire, which will prelude 2018 NCPA performances for Chinese audiences. 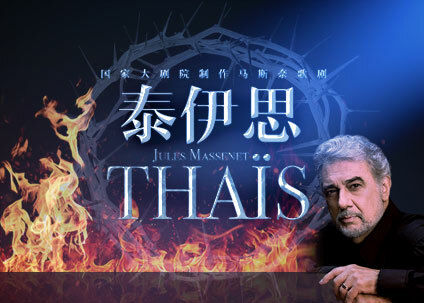 Meanwhile, Placido Domingo, director Hugo de Ana and conductor Patrick Fournillier are invited to join the debut of the first Chinese production of Thaïs. 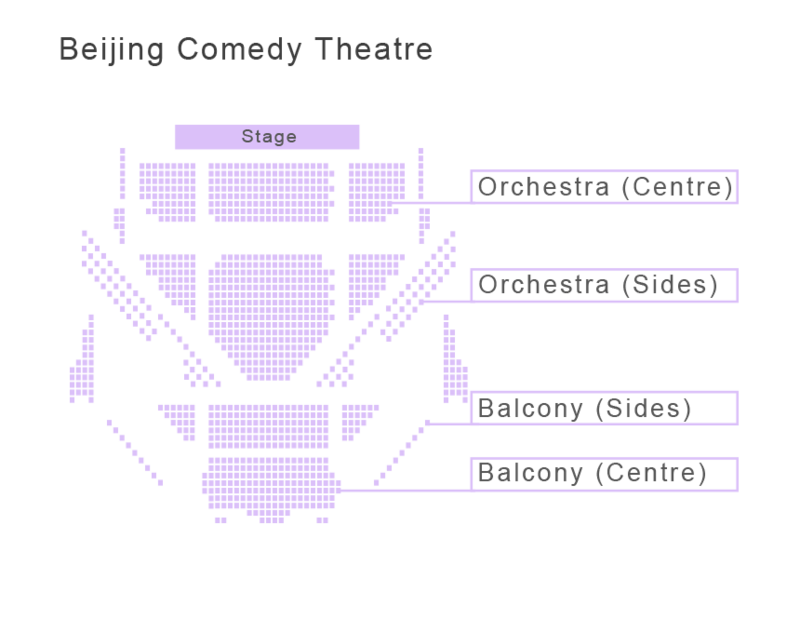 The classic will be co-starred by Ermonela Jaho, Davinia Rodriguez, Marc Barrard,Alessandro Liberatore, LI Yi, ZHANG Wenwei, Deyan Vatchkov, JIA Kun, DONG Fang, DUAN Nina, HONG Zhiguang, ZHANG Wenqin and other outstanding singers from at home and abroad. Patrick Fournillier, ever since he was awarded the Salzburg First International Prize in 1982, enjoys continuous and successful collaborations with the most important opera houses in France, Italy and Spain. Expert of the Italian and French operatic repertoire, he is also frequently invited to conduct at the Grand Théâtre de Génève, Zurich Opernhaus, the National Theatre in Zagreb, Welsh National Opera, Montreal Opera and Seattle Opera. He regularly works with the Orchestre de la Radio Suisse Romande, Czech Philharmonic Orchestra, Prague Philharmonic Orchestra, BBC Symphony Orchestra, Europe Chamber Orchestra, English Chamber Orchestra and Slovenian Radio Television Orchestra, conducting numerous symphonic concerts in Europe, Egypt and United States. 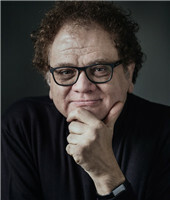 His numerous collaborations include Don Quichotte and Carmen at the Teatro Regio in Turin; Werther at the Opéra des Flandres; Lucia di Lammermoor, Semiramide and Carmen at the Deutsche Oper Berlin; Faust at the Ravenna Festival; Les Dialogues des Carmélites and Carmen in Oslo; I Pagliacci and Cavalleria Rusticana in Seattle; Aida in Amsterdam and Mannheim; La Sonnambula at the Arena and the Teatro Filarmonico in Verona; Alfano’s Cyrano de Bergerac at the Teatro alla Scala in Milan and in Valencia; Manon at the Berlin Staatsoper; Faust at the Opernhaus in Zurich; La Damnation de Faust at the Dresden Semperoper; Manon at the Opera de Nice; Werther at the Bayerische Staatsoper in Munich; a Gala Concert for the re-opening of the Opéra Comique Salle Favart in Paris (1989), with June Anderson, Rockwell Blake and the Orchestra of the Opéra National de Paris; Gounod’s Faust in Milan; Cherubini’s Médée at the Martina Franca Festival; La Sonnambula and La Bohème at the Teatro dell’Opera in Rome; and Chérubin at the Opéra de Monte Carlo. M° Fournillier is a frequent guest at the Massenet Festival, where he led Cleopatra, the oratorio La Vierge, Esclarmonde, Grisélidis, Panurge and Le Cid, Gounod's Sapho and Thaïs. Among the other operas he conducted it is worth mentioning: Adam’s Postillon de Longiumeau; Massenet’s Histoire de Manon; Berlioz’s Le Rouge et le Noir and Henze’s Undine. In October 2010, Mr. Fournillier made his debut at the Metropolitan Opera in New York with Les Contes d’Hoffmann and at the San Francisco Opera conducting Cyrano. Past commitments include La Traviata at the Ravenna Festival and in Parma with the Fondazione Arturo Toscanini; Werther at the Bayerische Staatsoper; La Damnation de Faust at the Dresden Semperoper; Iphigénie en Tauride at the Palau de les Arts in Valencia; I Pagliacci and Adriana Lecouvreur in Florence; Cyrano in Paris and Valencia; Turandot, Lucia di Lammermoor, Carmen, La Traviata and Manon Lescaut at the Staatstheater in Stuttgart; Le Nozze di Figaro at the Washington Opera; Rigoletto and La Traviata in Turin; Turandot, Manon Lescaut, Aida and a gala concert in Warsaw; Carmen in Dresden and in Oman; Thaïs in Valencia, Helsinki and Los Angeles; Aida in Oman; Carmen at the Opernhaus in Zurich; Manon Lescaut in Dreden; Les Contes d'Hoffmann in San Francisco; Les Pécheurs de Perles at the Opernhaus in Zurich and at the Teatro Regio in Parma; L'Etoile in Amsterdam; Il Barbiere di Siviglia in Palm Beach. Most recently he conducted: Giselle at the Teatro alla Scala in Milan; Rigoletto in Bogota Aida in Warsaw and a series of concerts at the Teatro San Carlo di Napoli; Teatro alla Scala di Milano and in Warasw with the Warsaw Philarmonic. His future plans include Thaïs at the Festival in Salzburg and at the Gran Teatre del Liceu in Barcelona; revivals of Giselle and a new production of Coppellia at the Teatro alla Scala in Milan; Manon in Bilbao; La Fille du Régiment in Las Palmas de Gran Canaria; Il Trovatore and Tosca in Helsinki and Romeo et Juliette in Beijing. He is the stage director of NCPA operas Un Ballo in Maschera, Il Trovatore, Samson et Dalila, Rusalka, Macbeth and VIVA Verdi: Giuseppe Verdi Bicentennial Celebration Gala. Acclaimed for his spectacular scenery sets as well as for his special way to use the lights, Hugo de Ana is a regular guest at world's most prestigious opera houses. His career started as Technical Director and Executive Producer at the Teatro Colón in Buenos Aires, staging operas such as Turandot, Werther, Don Carlo, Cavalleria Rusticana, I Pagliacci, Medea and The Rake's Progress. Then he moved to Santiago de Chile where he staged Roméo et Juliette, Lucrezia Borgia, Don Carlo and Les Contes d'Hoffmann receiving for three consecutive years the critics' price as the best director. Soon he started his collaboration with Teatro de la Zarzuela, in Madrid, and the Liceu Opera Theatre in Barcelona, where he signed works such as Armida, Andrea Chénier, Die Walküre, La Bohème, Ermione, and Otello. He made his Italian debut in 1990 staging Mosè in Egitto in Bologna. Since that moment he started to collaborate with the most important Italian theatres such as Teatro La Scala in Milan (Lucrezia Borgia, Samson et Dalila, La forza del destino and Il Trovatore), Teatro Regio in Turin (Manon Lescaut), etc. 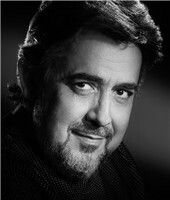 Vinicio Cheli is the lighting designers of NCPA operas Tosca, Le Nozze di Figaro, Der Fliegende Holländer, Un Ballo in Maschera, Lohengrin, Otello, L'Italiana in Algeri, Il Trovatore, Cavalleria Rusticana, I Pagliacci, Aida, Simon Boccanegra, Lucia di Lammermoor, as well as NCPA opera commission Visitors on the Snow Mountain. From 1974 to 1979, Vinicio Cheli worked at the "Maggio Musicale Fiorentino". Since 1979, he joined the "Piccolo Teatro" of Milan and became the lighting collaborator of Giorgio Strehler, making the entire production of Piccolo until 1989. 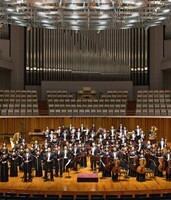 Since 1987, for four years, he worked with the "Rossini Opera Festival" to produce performances with several directors. Since 1989, he has worked at the Salzburg Festival, Theatre Champs-Elysees, Chalet Theatre in Paris, then responded to the La Scala in Milan. 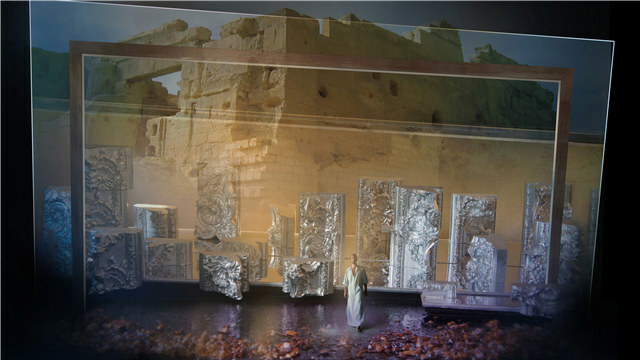 He aslo re-collaborated for some years with the Teatro La Fenice in Venice. 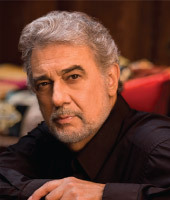 Sergio Metalli has participated in NCPA operas of Tosca, Der Fliegende Holländer, Lohengrin, Un Ballo in Maschera, Il Trovatore, Otello, Nabucco, Norma, Aida, Simon Boccanegra, Samson et Dalila, Rusalka, Macbeth, Lucia di Lammermor, among others, as well as the concert version of William Tell and NCPA commission Visitors on the Snow Mountain. 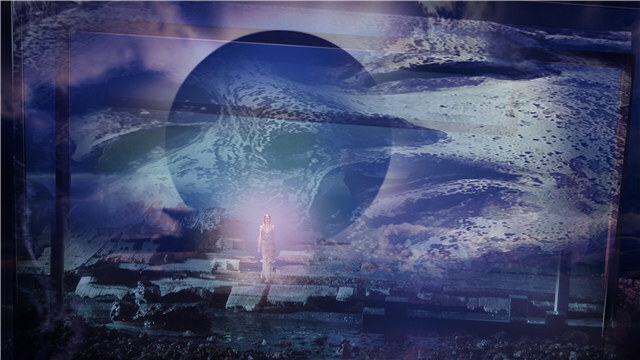 Mattia Metalli has collaborated with the NCPA in operas Rusalka and Macbeth. Mattia Metalli enters the world of digital at the end of the 1990s, becoming one of the youngest Avid editors in Europe. Over the years, the experience, led him to collaborate with his father, Sergio Metalli, to the realization of many projects in the most important Opera Houses in the world, alongside the greatest directors and set designers at the: Teatro Real in Madrid, Teatro Colon in Buenos Aires, Opera House in Astana ,Teatro Municipal in Rio de Janeiro, LA Opera in Los Angeles, Odeon of Herodes Atticus in Athens, Royal Opera House in Muscat and in the most prestigious Italian Theatres as Teatro alla Scala in Milan, Teatro Carlo Felice in Genova, Teatro dell Opera in Rome, Teatro San Carlo in Napoli, and many others. 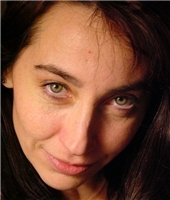 Alessandra Panzavolta has participated in NCPA operas of Le Nozze di Figaro, Norma, Tannhäuser, Rusalka and Macbeth. Born in Aix-en-Provence, France, Patrick Marie Aubert was able to count on the support of some very bright stars of the music world, including Darius Milhaud, Gabriel Dussurget, Seiji Ozawa and Nicolas Joel. They were not responsible for his musical training – he had the Conservatory of Aix for that – but they did teach him that it is impossible to be a musician without a passion for sharing music. Since the beginning, Patrick Marie Aubert’s career has been a shared adventure. Patrick Marie Aubert began as a trumpeter, then decided to conduct orchestras and choirs, first in Aix, then in the army, which he joined as assistant director of music in 1981. A year later began the adventure of the French Army Choir, which was established by the French Republic on July 14th, 1983. 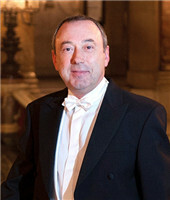 He held several positions within the choir before becoming assistant director in 1990, then director in 1996. Those years were filled with countless high-profile national celebrations. Training and conducting this talented group of singers could have been enough for the now-Commander Aubert, but he needed to flex his musical muscles on different playing fields. He started studying Gregorian chant at the famous abbey in Solesmes, and took singing lessons from Irène Joachim and Jean-Christophe Benoit to perfect his skills as a baritone. He also founded Vox Hominis, a contemporary vocal ensemble. He also became Director of the Conservatory in Clichy-la-Garenne (near Paris), and continued to seek out opportunities to develop his skills and teach. In 2001, he found himself in Orange for the Verdi centennial. It was here he was recruited as the choir director of the Toulouse opera house, after a brief tenure at the Nantes Opera. 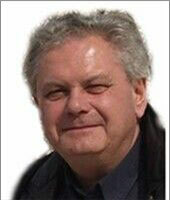 In 2003, he retired from the army and took up the baton at the Capitole theatre in Toulouse. During this time, he learned the secrets of the operatic world not only from major choral figures like Norbert Balatsch, but also from important orchestral directors like Michel Plasson and Georges Prêtre. In 2009, he joined the National Paris Opera, where a sense of community, an openness to all repertoires, teaching and sharing were the norm, giving Patrick Marie Aubert the opportunity to put to use everything his uncommon career path had taught him. During his time at the National Paris Opera, Patrick Marie Aubert transformed the way the choir worked and took over its rehearsals. He set the bar high and the choir quickly reached a new quality standard, much to the delight of audiences. The choir shone in all different types of repertoire, from Baroque to contemporary premieres. Patrick Marie Aubert also arranged to have the choir perform solo concerts in various major concert halls around Paris, including a concert of Mendelssohn and Schumann in 2009, Honegger’s Le Roi David in 2011, Caplet’s Le Miroir de Jésus in 2012, and concerts celebrating Wagner and Verdi’s bicentenaries in 2013. These concerts also gave Patrick Marie Aubert the opportunity to show his orchestral directing skills by conducting the Conservatory Graduates’ Orchestra. 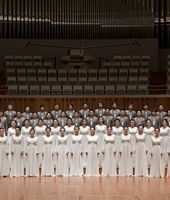 After five seasons, the chorus had found its rightful place within the National Paris Opera, and its offerings were highly praised by the musical community. Patrick Marie Aubert left the National Paris Opera in 2014 due to artistic differences with the new management. 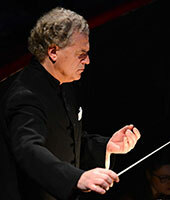 His current projects include orchestral conducting in operatic and symphonic productions. In demand across the world, Ermonela Jaho is particularly recognised for her portrayals of Violetta (La Traviata), Madama Butterfly and Suor Angelica (Il Trittico). At the 2016 International Opera Awards, her performances as Suor Angelica at Covent Garden that same season were recognised with the presentation of the Readers Award. In the 2017-18season, Jaho reprises the role in a new production created especially for her by Lotte de Beer at Munich’s Bayerische Staatsoper conducted by Kirill Petrenko. Violetta is another role Ermonela Jaho will reprise for her debut at the Teatro Colon in Buenos Aires at the start of the new season. Jaho has portrayed Verdi’s tragic heroine in more than 15 opera houses from the Metropolitan Opera in New York to London’s Covent Garden as well as in Vienna, Munich, Verona, Madrid, Stuttgart, Marseilles, Berlin, Stockholm, Hamburg, Lyon and on tour in Japan with the Royal Opera House. In addition to her portrayals of opera’s most famous Italian heroines composed by Bellini, Donizetti, Puccini, Rossini and Verdi, Ermonela Jaho’s broad and diverse repertoire spans Massenet, in whose Thaïs she performs the title role at Madrid’s Teatro Real in July 2018; Offenbach, whose Antonia (Les Contes d’Hoffmann) she first sang at the Opéra national de Paris in autumn 2016 and will sing again for her Dutch National Opera debut in June 2018; as well as Auber, Bizet, Chabrier, Gounod, Handel, Milhaud, Mozart, Poulenc, Prokofiev, Rimsky-Korsakov, Johann Strauss, Stravinsky and Tchaikovsky. Her devastating performance as Leonvallo’s Zazà released by Opera Rara has recently been nominated for a 2017 International Opera Award. Now based in New York, Ermonela Jaho was born in Albania and first began to take singing lessons when she was just six. Eight years later she heard La Traviata at the Tirana Opera House and determined to become an opera singer. Singled out by Katia Ricciarelli and armed with a scholarship, Ermonela moved to Italy to study in Mantua when she was 19 and, a year later, to the Accademia Nazionale di Santa Cecilia in Rome. Over the next years, she won singing competitions in Milan, Ancona and Rovereto, and began her professional career singing with roles at Teatro Comunale di Bologna (Mimi, La Bohème); Teatro La Fenice, Venice (Susanna, Le Nozze di Figaro); Teatro Verdi Trieste (Micaëla, Carmen); and Wexford Festival Opera (Irène, Sapho). Born in Las Palmas, Davinia Rodriguez began studying singing at the Conservatory of his city under the guidance of Leopoldo Rojas O' Donell. She then attended the school "Reina Sofia" in Madrid with Teresa Berganza and improved with Martina Arroyo in New York and with Raina Kabaivanska in Modena. Currently she perfecting her repertory with Sylvia Sass. At an early age she established herself to the attention of the audience, singing in the major Spanish theatres. In a short time she made her debut with important roles such as the Countess in Le Nozze di Figaro, Carolina in Matrimonio Segreto, Adina in L'Elisir d'Amore, Euridice in Orfeo e Euridice and both Countess of Folleville and Madame Cortese in Il Viaggio a Reims at the Rossini Opera Festival in Pesaro. She worked with leading conductors including Jesus Lopez Cobos, James Conlon, Plácido Domingo, Jeffrey Tate, Alberto Zedda, Nicola Luisotti, Gianandrea Noseda, Donato Renzetti, Riccardo Frizza ,among others. She sang the role of the Queen of the Night in Die Zauberflöte to the Stresa Festival under the baton of Gianandrea Noseda and directed by Michele Placido, at Teatro Carlo Felice in Genoa and Stuttgart Opera. 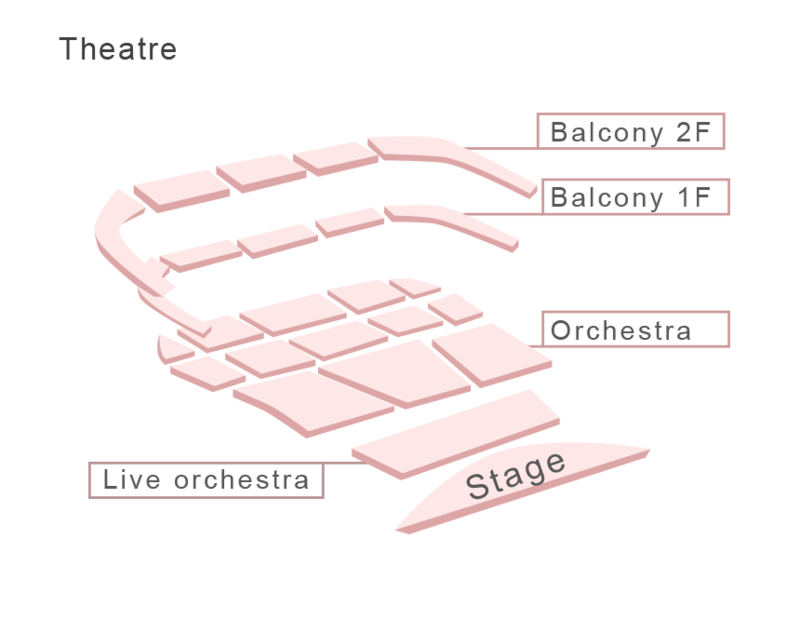 We also remember performances as Maria in West Side Story in Paris and Vienna, as the Princesse, the Rossignol and the Feuin Ravel's L' Enfant et les Sortilèges at Teatro San Carlo in Naples under the baton of Jeffrey Tate; Zerlina in Don Giovanni with the conduction of Nicola Luisotti at Suntory Hall in Tokyo; Micaela in Carmen in Cremona, Brescia, Pavia and Como. She sang the role of Marie at the world premiere of Matteo D'Amico's The Malentendu at the Macerata Opera Festival. She starred in L'italiana in Algeri at Teatro Real in Madrid, La Vedova Allegra at Teatro Carlo Felice in Genoa and Verona, Un Giorno di Regno (Marchesa del Poggio) in Parma, Così Fan Tutte at the Tokyo Suntory Hall and Juditha Triumphans in Macerata. Recently, she has been acclaimed interpreter of Violetta in La Traviata in Bilbao, Lucia in Lucia Di Lammermoor, Eurydice in Orphée et Eurydice at the Seattle Opera and Luisa Fernanda with Plácido Domingo at the Florida Grand Opera and in Valencia, La Bohème in Dallas, Medea for Valle d’Itria Festival in Martina Franca, Simon Boccanegra in Barcelona, Macbeth in Vienna, I Pagliacci in Turin, Don Giovanni in Bilbao and Spoleto,Turandot at Sferisterio Opera in Macerata. Among her future engagements include Faust in Modena, Reggio Emilia and Piacenza, Le Nozze di Figaro and Thaïs in Beijing and I Pagliacci in Muscat , Oman. Plácido Domingo has been described in the international press as 'the King of Opera,' 'a true Renaissance man in music,' and 'the greatest operatic artist of modern times.' As of 2015, Domingo has sung over 3,700 performances of 146 roles – figures unmatched by any other celebrated opera singer in history, and he has recently added several baritone roles to his long list of achievements as a tenor. His more than 100 recordings (in addition to numerous music videos and four feature films of operas) have earned him nine Grammy Awards and four Latin Grammys, and he has won two Emmys for his television appearances. During the 1990s he and his colleagues José Carreras and the late Luciano Pavarotti – the Three Tenors – performed with enormous success all over the world and attracted new fans to opera. As a conductor, Domingo has worked with many of the world's greatest opera companies and symphony orchestras, and as General Director of Los Angeles Opera he is a major force in opera administration. Born in Madrid in 1941 to parents who were zarzuela performers, Plácido was brought to Mexico at the age of eight. He attended Mexico City's Conservatory of Music and made his debut at eighteen with Mexico's National Opera; his first performance as a leading tenor took place two years later. In 1965, after three seasons with the Israel National Opera, he launched his international career, and since then he has performed at all of the world’s most prestigious opera houses. In 1993, Domingo founded Operalia, an annual international voice competition that has helped launch the careers of many of today’s opera stars. 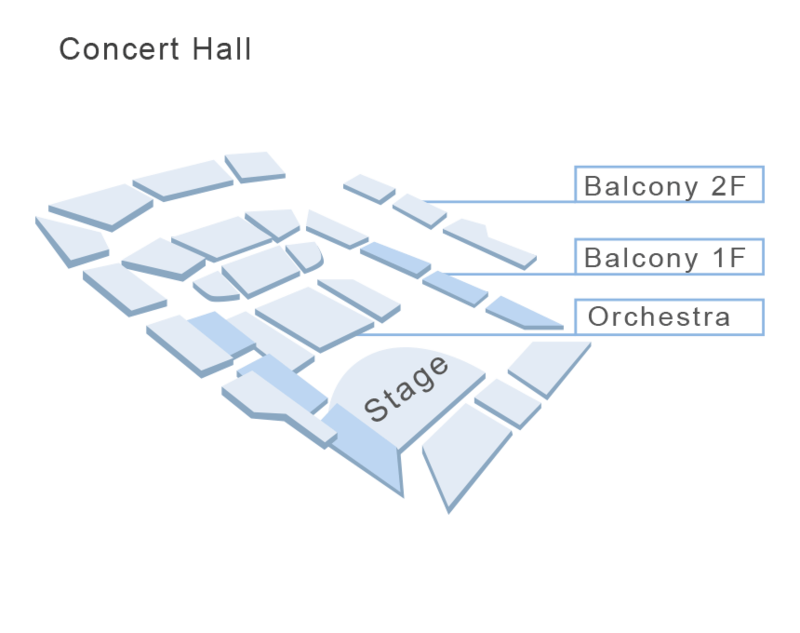 In 2012, Operalia celebrated its 20th Edition at NCPA, China. He was also the prime mover behind the creation of Young Artist programs in Washington, Los Angeles, and Valencia. He has received official recognition from the governments of many nations, and he has raised millions of dollars through benefit concerts to aid the victims of natural disasters in Mexico, Central America, Asia, Australia and the United States. Marc Barrard studied music at the Conservatoire de Nîmes and worked with Gabriel Bacquier. After winning many prizes such as the special prize of the Chambre Syndicale des directeurs de Théâtres in France he got invited by the Chorégiesd’Orange for Macbeth (Héraut). He was then launched into a rich career, which made him sing on all operatic French stages, from Strasbourg to Toulouse, Marseille, Paris’ Opéra Comique or Châtelet, etc. Soon, he got invited by all main international stages: La Fenice in Venice, Teatro Regio di Torino, La Scala in Milan, Las Palmas, Barcelona, Lausanne, Berlin, Buenos Aires, Tel Aviv, Houston, Helsinki, Washington, Los Angeles, Concertgebouw in Amsterdam, among others. 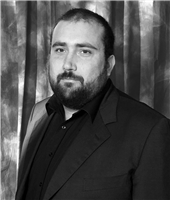 Among Marc Barrard’s current repertoire : Figaro (Il Barbiere di Siviglia), Geronio (Il Turco in Italia), Raimbaud (Le Comte Ory)and Dandini (La Cenerentola), Don Pasquale, Belcore (L'Elisir d’Amore), Viva La Mamma, Enrico (Lucia di Lammermoor), Riccardo (I Puritani), Valdeburgo (La Straniera by Bellini), Ford (Falstaff), Marcello (La Bohême), Le Comte (Le Nozze di Figaro), Calandro (L’Incontro Improvviso by Haydn), Oreste (Iphigénie en Tauride), Agamemnon (Iphigénie en Aulide), Demetrius (A Midsummer Night’s Dream), and L’Atlantide by Tomasi, etc. Recently, he has sung Die Fledermaus, Cyrano de Bergerac and Le Nozze di Figaro (Il Conte) in Monte-Carlo, Orphée et Eurydice in Bologne and Montpellier, La Bohème in Lausanne and Nice, Pelléas et Mélisande in Rome, at the Opéra Comiqueunder John Eliot Gardiner, in Rouen and Buenos Aires; La Belle Hélène, Lucia di Lammermoor and Manon Lescaut in Marseille; the Marquis de la Force in Dialogues des Carmélites in Oviedo; the title role of Saint-François d’Assise in Montréal under Kent Nagano’s direction; Lakmé in Nice, Montpellier, Toulouse and Toulon; Albert in Werther in Strasbourg under Michel Plasson; Les Pêcheurs de Perles in Sevilla; Roméo et Juliette in Lausanne, Madama Butterfly, Mireille and La Belle Hélène in Avignon; Cendrillon (Pandolphe) in Barcelona, Werther (Le Bailli) in Rome, Honegger’s L’Aiglon (Flambeau)in Montréal under Kent Nagano, Ariane et Barbe-bleue (Barbe-Bleue) in Strasbourg, La Belle Hélène (Agamemnon)in Paris (Châtelet), in Genève (Grand Théâtre) and Vichy; L’Enfant et les Sortilèges (The Clock – The Cat)with Stéphane Denève at the head of the SWR-Orchester (concerts and CD recording); Pelleas & Mélisande (Golaud) in Hamburg, etc. 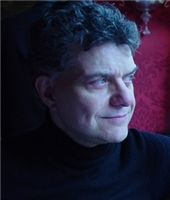 In concert, Marc Barrard has performed, among others, Carmina Burana, Montségur by Landowski with the Orchestre National du Capitole de Toulouse under the direction of Michel Plasson, with whom he has revived L’Enfant et les Sortilèges and Dialogues des Carmélites in Dresden. He also sang Coup de Roulis by Messager under John Nelson’s direction and Bach’s Oratorio de Noël with the Ensemble Orchestral de Paris, L’Heure Espagnole with the Orchestre National d’Ile de France, La Création by Haydn with the Orchestre Symphonique de Mulhouse, Der Freischütz with the Orchestre de Paris conducted by Christoph Eschenbach, Fauré’s Requiem in Trieste, Brahms’ Deutsches Requiem in Marseille, Gustave Charpentier’s Didon in Brussels and Venice, Samson et Dalila in Valencia, among others. Among his upcoming projects: L’Aiglon (Flambeau) by Honegger and Cosi Fan Tutte (Don Alfonso) in Marseille; Les Huguenots (Le Comte de Nevers) at the Nice Opera; Madama Butterfly (Sharpless) in Orange, etc. Alessandro Liberatore was born in Rome where he did his musical studies. Winner of the prestigious "Enrico Caruso" and "Zandonai" international competitions, he made his singing debut as Don Ottavio in Don Giovanni. Pupil of Luciano Pavarotti and under the guidance of Leone Magiera, he studied most of the role of his repertoire. His repertoire includes works by Mozart, Bellini, Verdi, Puccini, as well as the French operas. In 2002, he participated in a recital with Luciano Pavarotti in Monte Carlo and in the next months he made his debut as Rodolfo in La Bohème, Luciano Pavarotti directing in Agrigento. At the beginning of his career he performed: Menotti's Amal e gli Ospiti Notturni under the baton of Romano Gandolfi at the Auditorium Verdi in Milan; Nabucco (Ismaele) conducted by Riccardo Frizza in Genoa, at the Teatro La Fenice in Venice Rovigo, Pisa, Trento and Bolzano; I Capuleti e i Montecchi (Tebaldo) conducted by Nello Santi at the Teatro dell'Opera in Rome; La Traviata (Alfredo) in numerous Italian theatres and in the renowned production staged by Franco Zeffirelli in Madrid; La Bohème (Rodolfo) in Ancona (P. Arrivabeni conducting), Agrigento, at the Deutsche Oper Berlin and at the Teatro Sao Carlos in Lisbon. 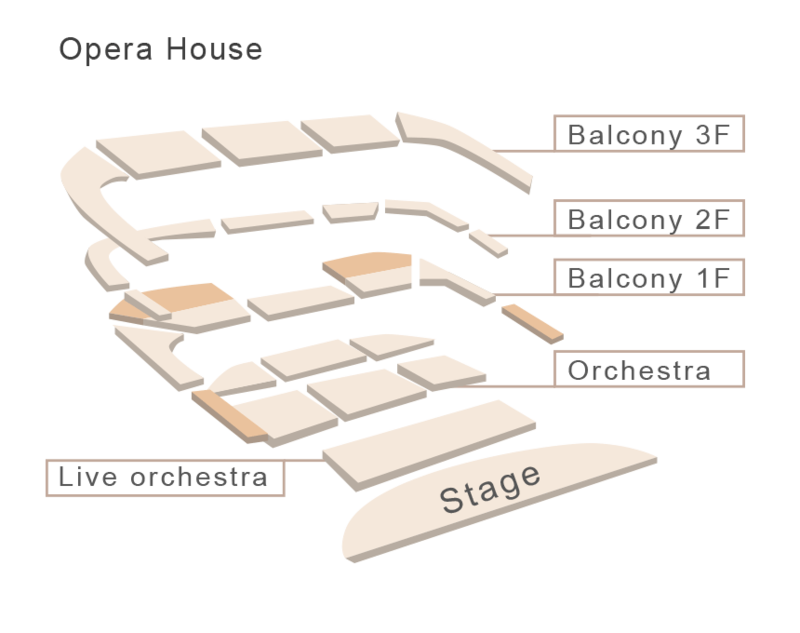 Important productions followed such as: Un Ballo in Maschera (Riccardo) in Catania and Palermo; Madama Butterfly (Pinkerton) in Tokyo, Osaka, Bologna and at the Florida Grand Opera in Miami; La Clemenza di Tito (title role) in Sassari and Bergen; Otello (Cassio) in Naples and Sassari; Werther (title role) in Sassari; Lauro Rossi's Cleopatra (Marco Antonio) in Macerata; Thaïs (Nicias) under the baton of Gianandrea Noseda at the Teatro Regio in Turin; Macbeth (Macduff) in Sassari; and Rigoletto (il duca di Mantova) in Palermo. In addition to his operatic repertoire, he maintains an active schedule of concert performances that include, among others: Puccini's Messa di Gloria, Mozart's Krönungsmesse in Verona and Mozart's Requiem in Ancona, Pesaro and Jesi. He was one of the protagonists of the "Five Italian Tenors", concert in honour of Tito Schipa in Lecce, recorded by Bongiovanni. Alessandro Liberatore lately performed: Idomeneo (Arbace) at the Teatro Regio in Turin and at the "Settimane Musicali" in Stresa; L'Elisir d'Amore (Nemorino) in Vercelli and Alessandria; Der Rosenkavalier in Madrid and Barcelona; La Bohème in Belfast, Dublin and Hong Kong; I Lombardi alla Prima Crociata (Arvino) in Macerata; Adelia (Oliviero) and Puccini's Messa di Gloria in Toblach; La Traviata in Malta and Karlsruhe; Lucia di Lammermoor (Lord Arturo) in Stresa (Italy); Madama Butterfly in Seoul; Rigoletto in Cosenza; Madama Butterfly in Cesena, Forlì; La Traviata in Rouen; Otello in Manchester; Nabucco in Cagliari and Sassari; Madama Butterfly in Tampere in Finland; Nabucco and Petite Messe Solennelle in Erl; Rigoletto in Lisbon; Lucio Silla (title role) at the Gran Teatre del Liceu in Barcelona; Verdi's Requiem at the Anima Mundi Festival in Pisa and in Toblach; Rota's Mysterium in Rome and at the Teatro San Carlo in Naples, where he also performed in Otello, Lucia di Lammermoor in Catania, Manon Lescaut at the Teatro dell'Opera in Rome, Missa Solemnis in Cagliari, La Bohème at the Terme di Caracalla in Rome. Mr. Liberatore also starred in Massenet's Manon in Liège, in Nabucco in Nancy, and in Madama Butterfly at the Teatro Comunale in Bologna. His recent main engagements include: Un Ballo in Maschera in Bern, L'Elisir d'Amore in Cagliari, Elisabetta Regina d'Inghilterra in Sassari, Verdi's Requiem in Erl, Rota's Mysterium in Bari, and a series of concerts in Nice. 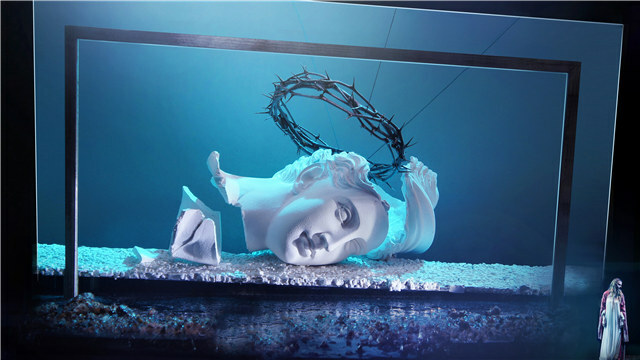 Among his next projects, it's worth mentioning that a new production of Katia Kabanova in Bern, a tour of Teatro dell’Opera di Roma in Japan with Manon Lescaut and Otello at Opera la Bastille in Paris. Proving himself a formidable talent and a rising star to watch in the opera world, Tenor LI Yi is quickly gaining attention in the lyric tenor repertoire. This season, Li performs the role of Nadir in Les pêcheurs de perles with Toledo Opera, sings Mahler’s Symphony No. 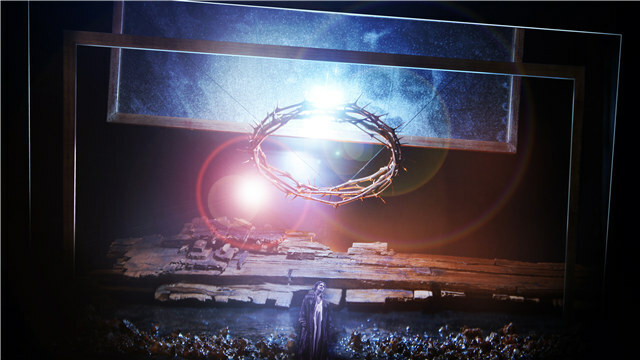 8 with Canterbury Chorale at Carnegie Hall, Edgardo in Lucia di Lammermoor with Bob Jones University, and returns to The Metropolitan Opera for Roméo et Juliette. Additionally, he will reprise his role in HUANG Ruo’s Paradise Interrupted, an innovative contemporary opera that the Wall Street Journal hailed “a mesmerizing new work that is part opera, part dynamic art installation,” in Los Angeles this spring; last season, he performed this opera with Lincoln Center Festival, Singapore International Festival of the Arts, and Lincoln Center 2nd Annual Global Exchange. 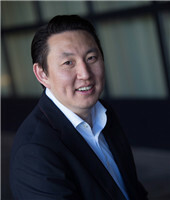 Some highlights from Mr. Li’s recent seasons include the role of Don Ottavio in Don Giovanni with Intermountain Opera Bozeman, Nashville Opera, and Baltimore Symphony Orchestra; Malcom in Macbeth with Middlebury Opera Company; Cassio in Otello at The National Center Performing Arts in Beijing; the role of Alfredo in La Traviata with Finger Lakes Opera; and concert engagements with Indianapolis Opera’s Opera’s Rising Stars Concert and a Chinese New Year Concert with Shenzen Symphony Orchestra at The Kennedy Center. Additionally, he joined the esteemed roster of The Metropolitan Opera for productions of Manon Lescaut, Roméo et Juliette, and Der Fliegende Holländer. Mr. Li recently graduated from Washington National Opera’s revered Domingo-Cafritz Young Artist Program where his assignments included Rodolfo in La bohème and productions of Die Zauberflöte and Dialogues des Carmélites. At San Francisco Opera’s world-renowned Merola Program, assignments included Belfiore in La finta giardiniera, Smith in Bizet’s La jolie fille de Perth, and Lionel in Martha. Mr. LI’s training includes an Artist Diploma in Voice from University of Cincinnati’s College Conservatory of Music (CCM), where he performed Tamino in Die Zauberflöte, Don Ottavio in Don Giovanni, and Ruggero in La Rondine. During his time there, he also performed The Duke in Rigoletto at Cincinnati Opera and Don José in Carmen at CCM Spoleto Festival. He also holds Bachelor and Master of Music degrees from Sichuan Conservatory in China, where performances include Alfredo in La Traviata, Pinkerton in Madama Butterfly, Rodolfo in La Bohème, and Cavradossi in Tosca. 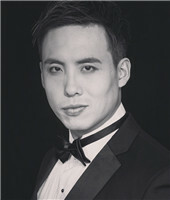 ZHANG Wenwei is the resident bass singer of Opernhause Zürich. He was born in 1979 in Dalian, China. He began his musical studies at the age of 13, and he passed the entrance exams to the Opera, Theatre and Dance Troupe of Liaoning at the age of 18. In 2001, he began studying singing with Professor YAN Yang and in preparation for his undergraduate studies. In May 2007, he went to south of France under scholarship of French government, and then he was accepted by the CNIPAL in Marseille. 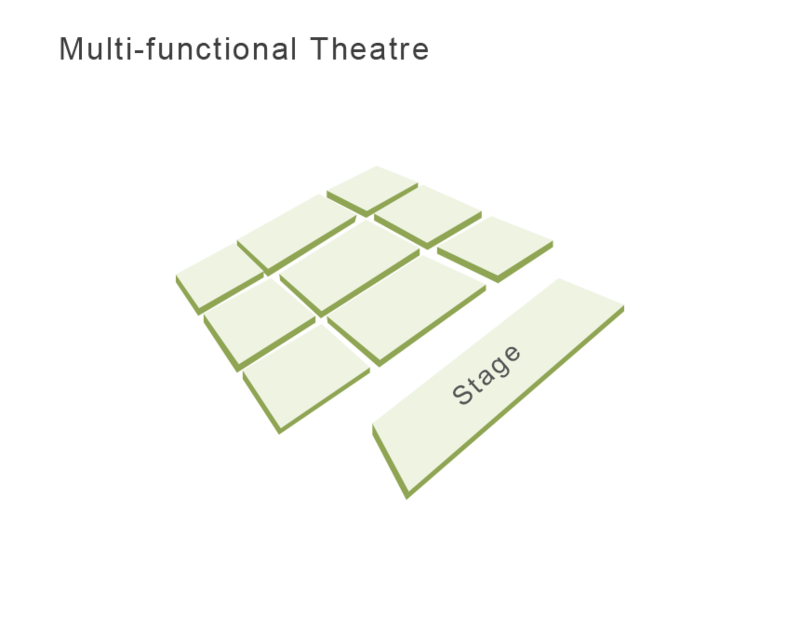 A noted winner of many international competitions. In 2005, he participated in the Neue Stimmen International Competition at Gütersloh (Germany) where he received an "Honourable Mention”. The same year he won the silver medal at the 5th “Golden Bell” International Singing Competition. In 2006, he won the silver prize in the Youth Singer Competition organized by China Central Television. In August 2009, he won the 3rd Price of the Operalia Competition founded by Plácido Domingo and by whom he was invited to the opening ceremony of Budapest International Music Festival as well as the Night of Opera in Hungary. In 2013, he received Bajazzo Performing Arts Awards in North Rhine-Westphalia. In April 2007, he sang Zuniga in Carmen under the direction of Michel Plasson and directed by Nadine Duffaut jointly produced by Opéra d'Avignon and Shanghai Opera House, and opened the Sino-France Culture Year. He sang Roucher (Andrea Chénier by Giordano) at the Opéra de Nancy. During the 2009/10 season, he was a member of the Frankfurt Opera, where he sang Lord Rochefort (Anna Bolena), Der zweite Geharnischter (Die Zauberflöte), UinSci (L’Oracolo) by Leoni. And he was a member of Dortmund Opera House in 2011/14 season and from 2014, of Opernhause Zürich. In October 2008, he sang the Doctor (Verdi’s Macbeth) at the Opéra de Nice. 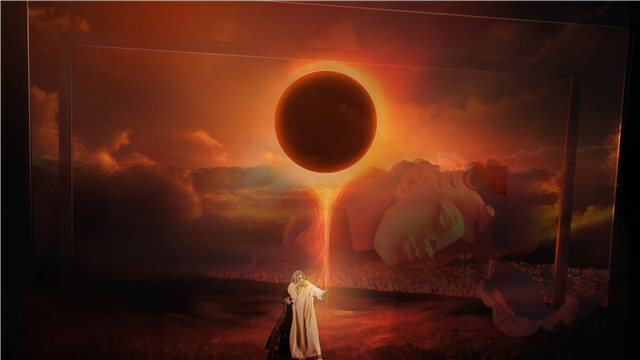 In July 2009, he sang a highly acclaimed Orosmano (Bellini’s Zaïra) at the Festival de Montpellier, Night of Faust at the New Year’s concert at Nancy, Roberto Devereux collaborated with famous coloratura Edita Grubberova in Munich. Between 2011 and 2013, he has been heard as Filippo II in Don Carlos in Dortmund, Der zweite Geharnischter (Die Zauberflöte) in Frankfurt, fuenfte Jude (Salome) in Monte Carlos, Oroveso (Norma), Colline (La Bohème), Varlaam (Boris Godunov), Ferrando (Il Trovatore) in Bordeaux, and Le Comte des Grieux (Manon). In 2013, he sang Daland (Der Fliegende Holländer) in Dortmund and also in China NCPA, Die Zauberflöte, L'Elisir d'Amore and Don Carlos in Bordeaux. Meanwhile, he gave a performance of Bellini’s I Capuletiedi Montecchi (conducted by Friderich Held) and Die Entfuhrung Aus Dem Serail in Dortmund. In 2014, he sang as Basilio (Il Barbiere di Siviglia) in Opernhause Zürich, Oroveso (Norma), Donizetti’s Lucia di Lammermoor (conducted by Nello Santi) and Verdi’s Aida. In 2015, he sang Verdi’s Luisa Miller with Leo Nucci, in Bordeaux as Filippo II in Don Carlos. In 2015/2016 season, he was in Opernhause Zürich singing Bizet’s Les Pecheurs de Perles, Puccini’s Turandot, the Doctor (Verdi’s Macbeth) and Bellini’s I Puritani. Besides, during 2015/2016 season, his repertoires were Der Freischütz, Lady Macbeth of Mtsensk, Don Giovanni, Verdi’s Macbeth, Varlaam (Boris Godunov) in Marseille, Verdi’s Requiem in Bordeaux and as Basilio (Il Barbiere di Siviglia). In 2017/2018 season, he will be in Opernhause Zuerich as Der zweite Geharnischter (Die Zauberflöte), Wagner’s Parsifal, Luisa Miller, Turandot, in China NCPA singing Massenet’s Thaïs and Bellini’s La Sonnambula. In 2018/2019 season, he will perform as the Doctor (Verdi’s Macbeth), Les Pecheurs de Perles, Lucia di Lammermoor, Hippolyte et Aricie, Verdi’s La Forza del Destino etc..
Bulgarian bass Deyan Vatchkov was born 1979 in Sofia and studied there at the Spanish school "Miguel de Cervantes". He then attended the Sofia Musical Academy "Pancho Vladigerov" and studied there with Konstantin Karapetrov and Nedialko Nedialkov. After Deyan's Academy studies, he took part in the Belvedere Competion in Vienna and won both the Verdi prize and the special Chamber Opera Prize. As a result of these victories, he performed the role of Don Basilio in Il Barbiere di Siviglia in Vienna. Other competition victories include the First Prize and Arrigo Boito Prize in the Concorso Iris Idami Corradetti in Padua-2002. 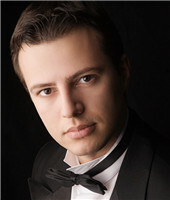 Deyan Vatchkov later completed the Academy for Young Singers at La Scala, studying with Leyla Gencer, Luigi Alva, Teresa Berganza and Luciana Serra. There he sang in a production of Verdi's early opera Oberto Conte di San Bonifacio under the baton of Nicola Luisotti. This production also traveled to Genoa. With Antonino Fogliani the next year he performerd in Teatro Arcimboldi and Teatro Bergamo the opera of Donizzetti Ugo Conte di Parigi that were recorded with Dynamic. In 2002/2003 Deyan Vatchkov made his Canadian opera debut as Timur in Toronto and sang Don Basilio in Il Barbiere di Siviglia in Trieste conducted by Daniel Oren . 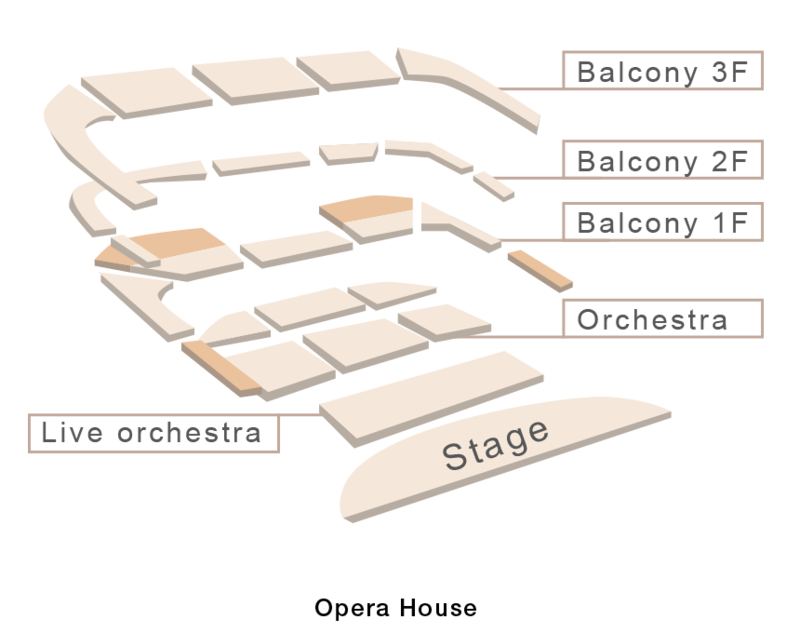 Past engagements include: Don Giovanni in the Budapest Summer Festival, Carmen and Aida at the Arena di Verona in Zeffirelli's productions. Il Pirata in Amsterdam. In the fall of 2004/2005,he made his North American debut as Sir Giorgio in I Puritani, and Tosca at Genoa. Also in the same season, he participated in the opening production of Verdi's I Masnadieri at the Teatro Comunale di Bologna under the conducting of Daniele Gatti. Furthermore, he has sung Idomeneo and Carmen at the San Carlo theatre in Naples. He has inaugurated the 2004/5 season in Venice with Le Roi de Lahore of Massenet, directed by Maestro Viotti. In 2005 he has performed Attila in Naples with Nicola Luisotti. Also, has sung Don Giovanni in Tenerife, Don Carlo in Turin, La Fanciulla del West and the Fidelio directed by L.Maazel in Genoa, La Boheme at the Suntory Hall in Tokyo and Klagenfurt. He has obtained a great success at La Scala in the role of Don Basilio in Il Barbiere di Siviglia. He has performed Turandot in Macerata and Un Ballo in Maschera in Leipzig with Riccardo Chailly and in Frankfurt with Carlo Franci. With L.Maazel again he performed Simon Boccanegra in Valencia. In 2006 he has sung with big success Raimondo from Lucia di Lammermour at La Scala and in 2007 Colline from La Bohème in Seattle. In 2008 he has sung in Turandot in Bilbao and Torre del Lago. 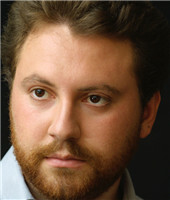 For Verdi Requiem with the Nacional Orquestra and Chorus of Madrid, he has performed in the Genoa production of I Capuleti e Montecchi with Mariella Devia.In 2009 made his debut in Il Trovatore in Las Palmas, later he has sung Don Giovanni in Tokyo and Il Barbiere di Siviglia in Lausanne with a great acclaim. In 2010 he performed Lucia di Lammermoor in Valencia and Frankfurt, La Boheme in Bari, Carmen in Bologna and Arena di Verona, and Il Trovatore in Parma. In 2011 he performed Tosca at La Scala of Mialno, Rigoletto in Monte Carlo, Requiem Verdi in Frankfurt, Lucia di Lammermoor in Palermo,La Boheme and Romeo et Juliette in Arena di Verona and Gogol in Vienna. In 2012 he was again for Tosca at La Scala of Milano, I Masnadieri in Napoli and for Don Giovanni and Carmen at Arena di Verona. In 2013 and 2014 He made imporant debuts in the roles Attila , Filip II, Zaccaria, Ramfis, and the title role from Don Giovanni as he was a Dulcamara in L'Elisir d'Amore. He returns back at La Scala di Milano for an important production of Les Troyens under the batton of Maestro Pappano with whom he performed laters "Una notte di Montecalvo" with the orchestra of Santa Cecilia in Rome. In 2015 Vatchkov was again Don Basilio and Raimondo making a big tournee in France. He made his debuts as Don Pasquale of Donizzetti and Leporello from Don Giovanni. Vatchkov performed the role of Monterone in Bogota, Columbia. He sang Timur from Turandot in Bari in 2016. He performed Raimondo from Lucia di Lammermor in Las Palmas in 2017. 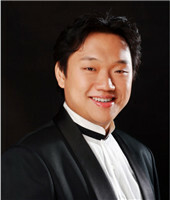 JIA Kun is a teacher at the Shenyang Conservatory of Music. She was admitted to the Department of Vocal Music, Shenyang Conservatory of Music in 2002, where she studied under soprano Professor LIU Hongwei and soprano Professor XU Zhaoren. In 2009, JIA Kun graduated with a Master’s degree and started her career as a teacher at Shenyang Conservatory of Music. In 2014, she made an exchange tour to Conservatorio Santa Cecilia di ROMA at public expense, and was later admitted to the conservatory, where she studied under coloratura sopranoProfessor Stella Parenti. In July 2017, she got Master’s degrees with a double major. In 2007, JIA Kun won the first prize in the 1st China Chinese and Foreign Opera Aria Singing Contest for College Students majoring in Art; in 2014, she won first prize for a vocal music performance at Rome International Music Festival. In November 2016, she gave four performances at A Night of Italian Opera Concert at the invitation of Lecce Opera House; in May 2017, she won first prize in Jeunesses International Music Competition for Youth Dinu Lipatti; in June 2017,she was conferred with an honourary title of “New-generation Outstanding Young Musician” and awarded a certificate issued by Laura Boldrini, President of the Chamber of Deputies of Italy, on behalf of Conservatorio Santa Cecilia di ROMA; in July 2017, she sang Carmina Burana and Stabat Mater in Rome, and performed Violetta in La Traviata; in August 2017, she won the second prize in Asian Division of “Belloc International Vocal Competition”；in October 2017, she sang Turandot in Puccini’s Turandot at Qingdao Grand Theatre and Tianjin Binhai Performance Arts Centre at the invitation of the China National Opera House. The mezzo-soprano DONG Fang graduated from the Vocal Music and Opera Department of the Shanghai Conservatory of Music where she was taught by Professor YU Songbo, a teacher of the Music and Drama Department of the Shanghai Conservatory of Music. She won second prize in the "17th French Marmande International Singing Competition", and the Silver Award in the "6th Chinese Golden Bell Award Singing Competition". She has cooperated with such famous domestic and overseas orchestras as the China Philharmonic Orchestra, China National Symphony Orchestra, Russian State Symphony Orchestra, Beijing Symphony Orchestra and Shanghai Symphony Orchestra. 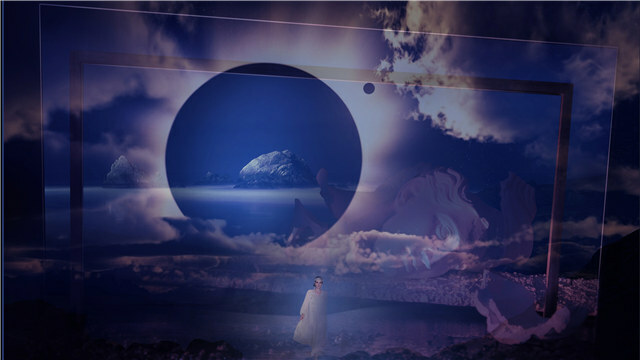 She also played HE Wenyan in the original opera The Spring River at the 16th China Shanghai International Art Festival. Her album Thanksgiving has been published by the China Record Corporation. Mezzo soprano DUAN Nina got her Master’s degree from the China Academy of Music, where she had studied under Professor SONG Yi. She is now a soloist a tBeijing Song and Dance Theatre, and a member of Chinese Musicians Association and Beijing Musicians Association. She has been awarded the "Outstanding Young Artist of Beijing", and a member of “One Hundred Artists Programme” of Beijing. She has won many prizes both at home and abroad: the gold medal in the 14th Hubei TV Grand Prix for Young Singers; the excellent group award in CCTV Grand Prix fo r Young Singers; the gold medal in Beijing Division of the 8th Chinese Golden Bell Awards; the first prize for vocal singing and the best performance award “Pesaro City Award” in Pesaro International Music Competition in 2015; the first prize for opera singing in the International Vocal Competition at Rossini Opera Festival in 2014. She held two solo concerts in 2014 and 2015 respectively, and in 2016, she joined the concert of Fiorenza Cossotto International Vocal Festival as a soloist. She played the heroin Jinhuan in musical Bridge, and gave performances in Italy, Germany, France, Russia, Austria, Czech Republic, Panama, Argentina, Kenya, Albania, etc. 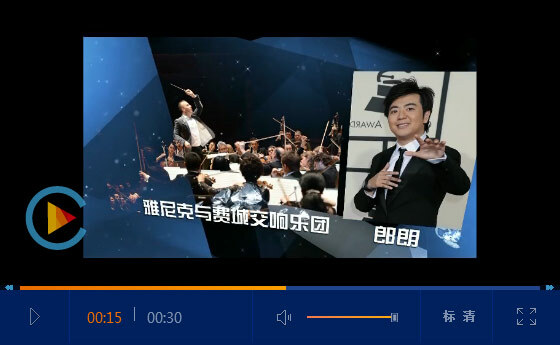 A native of Beijing, Chinese Bass-Baritone HONG Zhiguang is already gaining international recognition for his “beautiful, thunderous voice and magnetic stage presence”. Recently he has sung the role of Escamillo in Carmen (Bizet) and Astrologer & Abbot in The Burning Fiery Furnace (Britten) both with Central City Opera. He has performed Il Conte in Le Nozze di Figaro with HPAF; Bottom in A Midsummer Night’s Dream (Britten), Sancho in Don Quichotte (Massenet) with Yale Opera, and Mr. Ford in Falstaff (Verdi) with the Seagle Music Colony. He was also a Baritone Soloist in Beethoven’s Symphony No. 9 with the Washington Ark Foundation at Strathmore Music Center. His 2014-15 season highlights included performing the title role in Gianni Schicchi(Puccini) with both Yale Opera and Dicapo Opera Theater, playing Monterone in Rigoletto (Verdi) with the Dicapo Opera Theater at the Tiles Center for the Performing Arts, as well as the title role of Aleko with Yale Opera. He also played Giorgio in Mannes Opera's New York premiere of Il Postino (Daniel Catán), conducted by Joseph Colaneri. In 2016, Mr. Hong was named MONC Boston’s District Winner. He was also honoured with the first prize at The First International Opera Competition in Hong Kong, and was a second Prize winner at Concorso Internazionale di Canto di Santa Angela in Italy. Mr. Hong obtained the third prize at the International Vocal Arts Institute Competition and received a full-scholarship from both Mannes and Yale School of Music. In May 2014 he had his honour’s recital at Bruno Walter Hall at Lincoln Center for the Preforming Arts. Mr. Hong received his Artist Diploma from Yale School of Music under the tutelage of Richard Cross and Master of Music degree from Mannes at The New School of Music in 2014 and his Bachelor of Music degree from China’s Conservatory of Music, in 2012.